In this rugged man's necklace, the lava rock pendant is about 2-1/4" long by 1-3/4" at its widest by 1/4" thick. 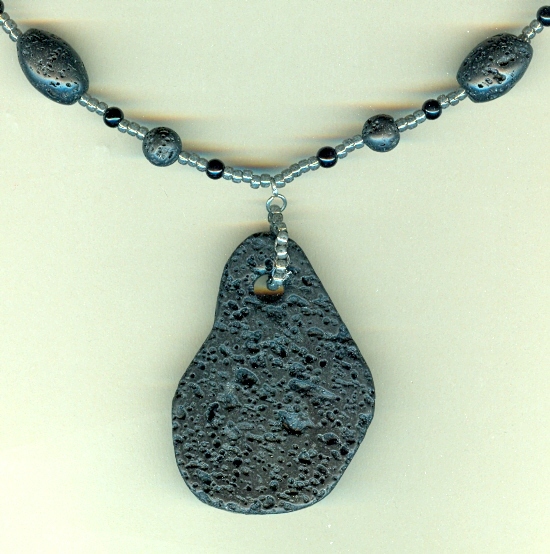 For all its size, lava is a porous stone, and is much lighter in weight than it appears. 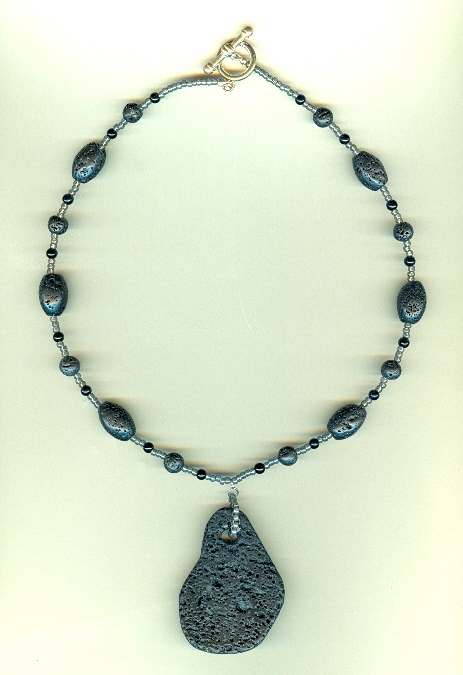 The pendant hangs from a 19-1/2" strand of black lava rock, black stone, and glowing grey glass seed beads. The man's necklace closes with a man-sized silver plate over pewter toggle clasp. Redolent of the romance of volcanic south seas isles, and at the same time manly as all get out, it?s another man's necklace from SPARKLE PLENTY, of course.